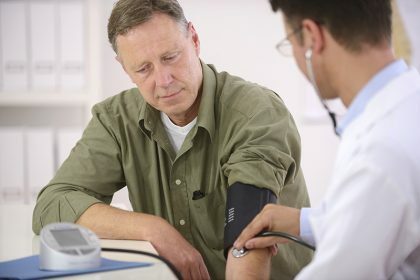 For people struggling with hypertension, there are a number of things they can do to help lower their blood pressure. Some of them even involve getting in the hot tub! 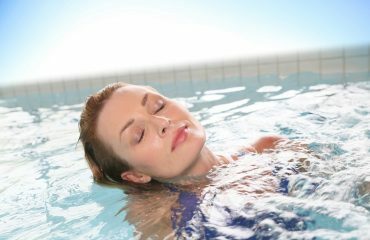 Sacramento area swim spa dealer Blue Lagoon Spas explains how using a swim spa or hot tub can help lower your blood pressure. High blood pressure, or hypertension, is when a person’s blood pressure is too high on a consistent basis. It’s a dangerous condition that can lead to serious health problems like heart attack and stroke. Almost half of all adults in the U.S. have high blood pressure, and many don’t even know it. A systolic mm Hg of 130 or above and a diastolic mm Hg over 80 may point to hypertension. If your numbers are consistently this high, speak with your healthcare provider asap. Science has shown that one of the most effective ways to lower blood pressure is through regular physical exercise. Most physicians recommend 30-40 minutes a day of aerobic activities such as walking, jogging, and swimming. When done routinely, these types of exercise can help with hypertension. 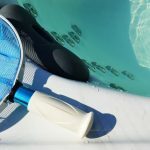 Swimming and performing aqua aerobic exercises have been shown to have impressive effects on lowering blood pressure over time. One study found that a 10-week course of water aerobic activity, including swimming, reduced the participants’ blood pressure by 12 points. If you don’t own a swimming pool, a swim spa can offer the same results. Blue Lagoon Spas, a Sacramento area, swim spa dealer, offers a broad range to suit any budget and space. For some great aerobic exercises, you can do in the swim spa, click here. A lot of people think hot tubs are risky for cardiovascular health due to those ubiquitous signs by public spas. Although soaking in a hot tub does raise your heart rate, it lowers your blood pressure at the same time. When you soak in a hot tub, the blood vessels dilate and cause blood pressure to decrease. The warmth of the hot tub’s water causes the blood vessels to relax and widen. Your blood flow increases and circulation is improved. 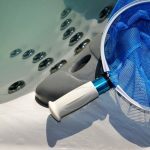 One thing that’s not advised is going directly from a hot tub into cold water, as it can trigger a spike in blood pressure. Always consult with your physician about hot tub use if you have a heart condition. Looking for a way to reduce your blood pressure, make healthy lifestyle changes and indulge in more relaxation? Visit Blue Lagoon Spas and Swim Spas in Fair Oaks. Our friendly staff will help answer any questions and show you our great selection of spas. Call us at (916) 827-1772.